Pity the poor editor in the world Clarke paints. A vast communications network links households across the planet, providing information and access to billions. Paradoxically, this makes it harder to draw attention to the poor reviewer’s work. The network is two-way and each one of those billions has a voice of their own, Many of them want to be heard. Rather than a comfortable world where a cadre made up of a few chosen reviewers, featured in magazines like Galaxy or Galileo, provide the appearance of critical unity, the unfortunate editor lives in a world where technology reveals that the previous appearance of unity was an illusion. It’s a short piece but it paints a vivid picture. I will admit there is a distinct lack of plot; even the characterization is more implied than explicit. But SF has long had a tradition of similar pieces often favourably received; Poul Anderson’s “Uncleftish Beholding” is a well known example of the fictional non-fiction piece, and even though Strange Horizon’s“The 2014 Count” is basically one long infodump, it has its admirers. Despite the shortcomings of Clarke’s piece as a story, I think it still rewards reading. Like Heinlein’s classic “Solution Unsatisfactory,” Clarke’s piece presents a problem without a solution. In the world he depicts, there probably can be no one nice solution. Each reader in his world has the tools to draw attention to the works they deem worthy, but alas! many will not bother. 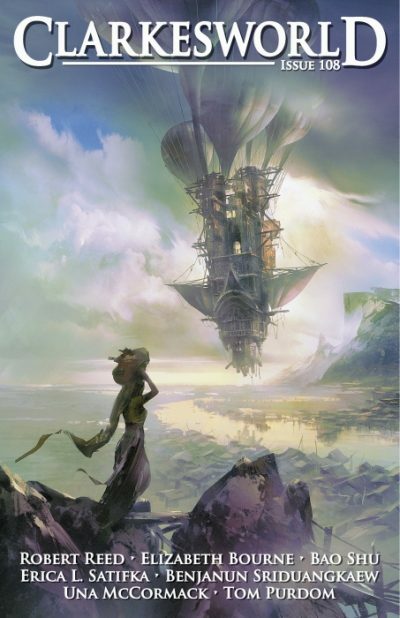 “The Sad Truth About Short Fiction Reviews” can be found here, in Issue 108 of Clarkesworld.